Sunday, Ol' Myrt here posted Watermelon Pickles: Preserving the summer harvest. Now two people have written privately inquiring about home canning to preserve fruits and vegetables. 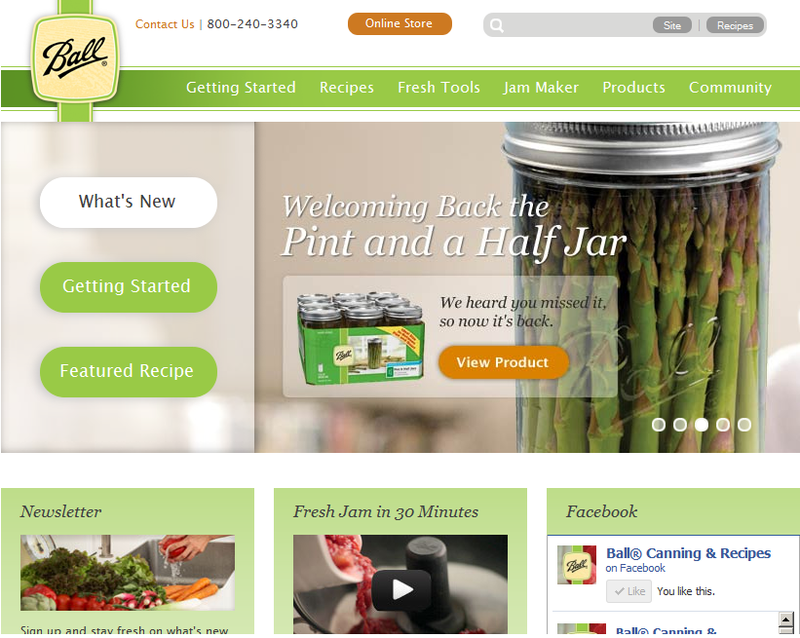 "Water-bath canning" is what my Gramma Myrtle called it. 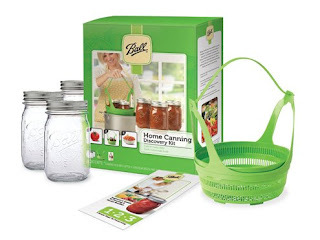 As you'll see below, it is also called "boiling water canning" as opposed to "pressure cooker canning". Let me first caution everyone to contact your cooperative extension service about the specifics of canning produce in your locality. These folks keep up with the latest information. The key is to preserve food at the peak of perfection, and to store them safely for your family. NOTE: Vegetables typically cannot be processed in water-bath canners. I prefer freezing to the use of a pressure cooker canner to preserve the harvest from your vegetable garden. But if you'd just like to dabble in small batch processing for jams, jellies and pickles, you might consider picking up this nifty "polypropylene rack with separate, fitted lifter that works in large stockpots at least 7½" tall and 9½" in diameter" shown below. I purchased one for each of my daughters at our local Smith's grocery store, and I have also seen it at WalMart. Our family favorite and the only thing we really can anymore is grape juice. We now have vines growing on our two story tall deck. Even the kids friends will ask for a bottle or two to take home with them. We do purple and green and then mix as we use them so they have nice color. Nothing added until we go to use them and then just water and a little sweetner. I have never had to pay for grapes. That grape juice sounds yummy! -- And by canning it yourself you control what goes into the mix. A novel thought in this day and age of "better" living through chemicals. My father always had a huge garden and I remember that I (the oldest child) had to help. It was time intense,messy and so hot. Those fruits and vegetables and fruit were eaten all winter and into the spring. I freeze things now, I have never done canning. I guess I canned enough in my childhood. I hear ya on the childhood work. That's how I feel about growing string beans. When I was little we'd go to our church farm near Seattle to weed the rows it was hot and dirty work.